Our church bus ministry travels throughout the Coldwater and Senatobia area every Sunday morning to offer people of all ages a ride to church. The ministry offers a Bible-based program that is both fun and practical for the youth of today. Your children will be supervised by experienced, well-trained staff from the time they walk out your door until they are escorted back to your home. Along with all the great teaching from God’s Word, our staff provides a great time for the kids too! Every week the bus will have promotions to encourage and excite the kids about church. On the bus, everything from ice cream sundaes to pickle-eating contests will be a part of their experience. Your kids are sure to come home with stories to tell every week! We invite you to come!! 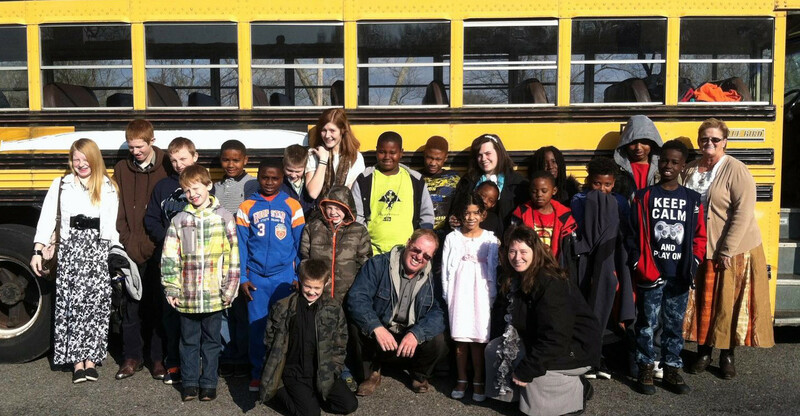 Our church bus ministry is a great opportunity to start you and your family on the right path!